Join us on one of our inspirational guided paragliding safaris to the High Atlas Mountains of Morocco. 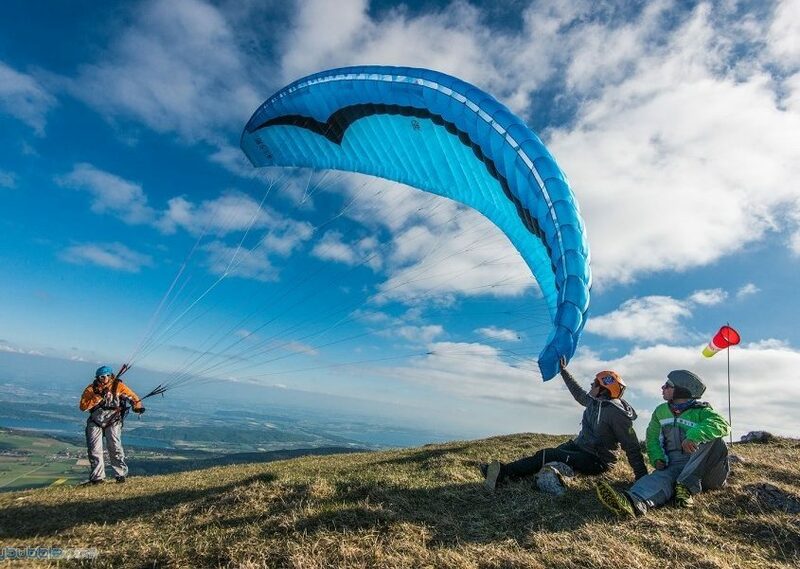 Get away from Europe for the most reliable paragliding conditions this spring. Exotic mountain flying, with sweet thermals and dramatic backdrops. It’s an extravagant cultural experience and the perfect way to start the season. No bars, no discos, just dusty roads, and sometimes the simplest of accommodation, this is adventure paragliding at its best. Swoop through the African skies as the scenery changes through incredible shades of crimson and scarlet, shades of saffron yellow, lilac and purple. See the brightest star-filled night skies. Enjoy delicious Moroccan cuisine from aromatic and spicy tagines to succulent fruit and of course the ubiquitous mint tea. Exotic paragliding has never been closer to home: a short hop from Europe takes you to another world. Swoop through the African skies as the breath-taking scenery changes through incredible shades of crimson and scarlet, shades of saffron yellow, lilac and purple. See the brightest star-filled night skies. Enjoy delicious Moroccan cuisine from aromatic and spicy tagines to succulent fruit and the ubiquitous mint tea. The unique safari-style nature of our trips means we have the freedom to explore Morocco’s paragliding potential to the maximum, (and drink up some amazing scenery along the way). Our flexibility to move around Morocco as the weather dictates means you fly more. Note that this Spring with normal weather we’re planning to spend 5 days at the world class site of Aguergour. Flying the mythical Berber lands of the High Atlas mountains expect the unexpected. If you’re looking for adventure this one’s for you. This trip is open to all autonomous pilots qualified to at least CP level. Aguergour and the other sites we use are suitable for all pilot levels. Temperatures during the day time in the Spring generally around 25°C , but Morocco is “a hot country where it gets cold”. Differences of over 30°C between night and day are not unusual in the mountains. Please be aware that although you will probably experience “summer” weather during the day, evenings can be cool to chilly in the mountains….. so please pack accordingly. The prevailing wind in the High Atlas Mountains is north-west. The reliable north-westerly breezes feed the warm air directly up onto our favourite flying sites inlcuding Aguergour, Ait Ourir, Toufliat, and Mzouda. Cross country flying is possible High Atlas Mountains on most days, and should the opportunity arise to go cross country let’s go! The evening restitution flying is very special indeed. Pilots often fly through to sunset here. If the weather in the mountains is not conducive to safe flying we’ll make the move – travel south to get you flying! Whilst we’re planning to spend most of our time at Aguergour we’re not committed: we’re free to travel to get you the best flying. Transfer to Marrakesh airport. Flying if time and logistics allow. We intend to spend about 5 days flying Aguergour. It’s by far the best flying site in Morocco – the perfect site for airtime and easy living – right next to the best kitchen in Morocco. We have a unique safari-style approach to paragliding travel in Morocco. We are not tied to staying in particular accommodations on particular days. This of course means that we have the advantage of being flexible to travel to the flying sites most suited to the weather conditions at the time. Whilst we intend to spend about 5 days flying in Aguergour we’re here to give you as much flying as possible, so some “bus-time” might be necessary. The actual itinerary will depend on the weather. We know intimately the ideal weather conditions for these sites. Every week is a new and original cultural and flying adventure. Moroccans are predominantly Sunni Muslims of Arab, Berber, or mixed Arab-Berber ancestry. The Arabs brought Islam, along with Arabic language and culture, to the region from the Arabian Peninsula during the Muslim conquests of the 7th century. The areas we explore and use for paragliding are predominantly Berber areas. Berbers have had a constant struggle for power in North Africa with Arab tribes for centuries. The Barbary Coast of North Africa was named after the word Berber, and was known as a place where Arab and Berber pirates would prey on ships on the Mediterranean Sea. Although the majority of young Berber men now work in France and Spain, traditionally, Berbers raise sheep and cattle. Others subsist by working in flourmills, doing woodcarving, quarrying millstones, and making pottery or jewellery. Women are generally involved with housework, weaving, and pottery. Berbers generally live in rural areas. Their housing is usually clay huts or tents made out of goat hair. In larger villages, houses are made of stone. 99% of Moroccans consider themselves Muslim. Islam as practised in Morocco is relatively “soft” compared to many parts of the Middle East for example. Covering of the head for women is not expected for example. Moroccan colloquial Arabic is composed of a unique combination of Arabic, Berber and French dialects. Along with Arabic, about 10 million Moroccans, predominantly in rural areas (where we will be operating), also speak one of the three Moroccan Berber dialects (Tarifit, Tashelhit, and Tamazight). Although Arabic is Morocco’s official language, French is widely taught and serves as the primary language of commerce, government and tourism. Although compared to most African countries Morocco is a relatively rich country (lots of fishing, phosphate and metal mining), it is significantly poorer than most European countries. In particular, most of rural Morocco (where we will be spending most of our time) has been largely “left alone” by the government. In certain parts of Morocco there is evidence of malnutrition but this tends to be in some of the “forgotten” desert oases and is less obvious in most areas we travel. Children and occasionally adults will ask for money and/or “gifts”. Although you might be tempted to dish out a few dirhams here and there, in our experience this does little or nothing to improve the situation. Indeed it often leads to resentment. Please be aware that by travelling to Morocco and in particular joining one of our Safaris you are already contributing to the local economies. Our Charity is called Atlas Friends. Any donations will be gratefully received. For most of this trip we’ll be staying at “Latifa’s”. Her food is in my experience the very best of Moroccan home cooking. We operate in rural locations means that facilities are often basic. In choosing accommodation our priority is hygiene, cleanliness and hospitality. If you would prefer a single room please let us know ahead of time. A small additional charge might apply. Please bring a sleeping bag. Food in Morocco is excellent and very healthy. Everybody is always very pleased with the food. Most people go home having gained weight. Please bring your sense of adventure though: you won’t be eating cornflakes, bacon, baked beans out here! 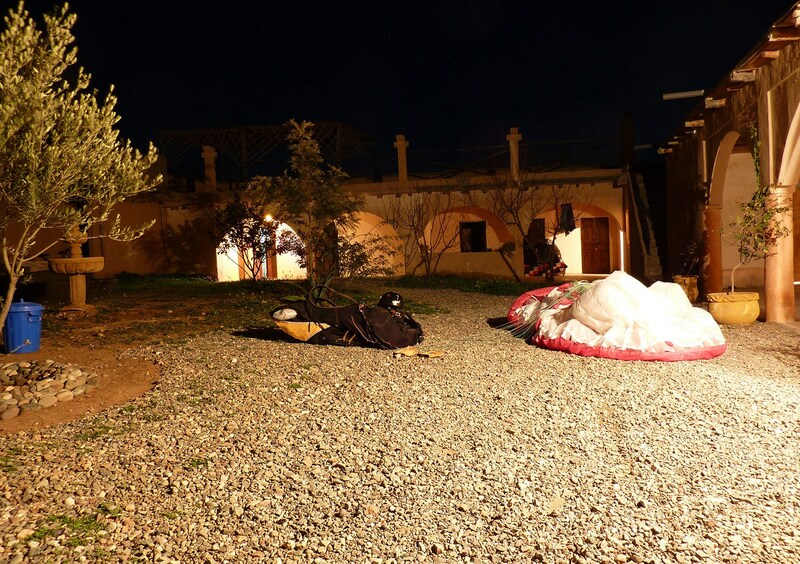 Sleeping bag – Some accommodation we use is basic with only mattresses. A medium toggle bag will be more than adequate. Expensive down winter sleeping bags are not necessary. A sense of adventure…..! We are travelling in a developing country. Things don’t always run like clock-work in Morocco. A sense of the ridiculous will also help. You might even have experiences strangely reminiscent of the “Life of Brian”!? Mobile telephone with “roaming”. Coverage in Morocco is surprisingly good. Mobile phones are a useful safety device and are definitely recommended. Warm clothing for the evenings. It can get quite chilly in the evenings particularly if we’re in the mountains. Camera – Morocco really is a photographers dream. Great photos assured! Reading material, good conversation etc, – Usually we are staying at either landing or launch. This means there is often a very short commute to launch and consequently you might find you have quite a lot of free time in mornings and/or evenings. Please book flights to arrive in Marrakesh on the first day of your safari and depart on the final day to qualify for free airport transfers. For example, if your trip is Tuesday to Tuesday then your flights should arrive and leave on those days. Your flights can arrive and leave at any time to qualify for free airport transfer. Alternatively you might like to spend an extra day or two in Morocco exploring Marrakesh for example, either at the beginning or end of your trip. Welcome to Morocco! You will normally have received an “entry card” on the aircraft during your flight and you will need to fill this in before proceeding through Passport Control. Please write “Gite Aylal, Amizmiz” as your address in Morocco. After passport control proceed to the baggage collection area. We require you to have insurance that covers repatriation. Please make sure that your insurance is valid for Morocco and of course that paragliding is covered! Please bring insurance documents with you. You will not be allowed to fly without proof of insurance!! We hope you agree that our Moroccan Paragliding Safaris represent incredible value for money. ALL food, accommodation and bottled water ARE included in the price so you will need very little extra “cash”. However, you will probably need a bit of cash for “beer” money, alternative activities and gift shopping etc. The Moroccan currency is the Dirham which is divided into 100centimes. In December 2015 the approximate exchange rate was £1=15Dirham, or €1=10Dirham. Probably the easiest and usually the most cost effective way of obtaining Moroccan currency is via an ATM at the airport on arrival. ATMs in Morocco accept Visa and Cirrus cards. Otherwise cash sterling can be exchanged for Dirhams on arrival. The exchange rates in Morocco are always better than those offered by money changers outside Morocco. A basic first aid kit will be kept in the vehicle at all times. We are usually within an hour’s drive of the nearest large hospital (Marrakech) and we’ll provide you with further details on arrival in Morocco. Full guiding service with top guides Toby Colombé, Michael Agnew, Yuki Sato AND Mourad! Not included are return flights to Morocco and insurance.